Looking at Jonah, we find a prophet of the Lord who understood that the Lord is gracious and compassionate, slow to anger and abounding in love, a God who relents from sending calamity (Jonah 4:2). Jonah got on a boat to flee from the will of God, an opposite direction, only to find himself threatening the lives of those around him because of his lack of obedience. A violent storm arose and all the sailors were afraid, (Jonah 1:4-5) while Jonah fell into a deep sleep below deck (Jonah 1:5). As the men cried out, Jonah knew that he was the problem and told the men to throw him overboard. Reluctant to believe this could be God’s will, they listened to Jonah, picked him up and threw him into the sea (Jonah 1:12). The winds died down, the sailors praised God, and a “great fish” was sent to save Jonah’s life (Jonah 1:17). He embraced God’s compassion and abounding love, as evidenced in his prayer (Jonah 2:1-7). He promised to fulfill his vow to be obedient to the Lord, regardless of his own personal opinions (Jonah 2:9). Jonah was sent on his missionary trip in the strangest way (via fish express), but he kept his vow. The people of Nineveh repented and turned from their evil ways, Jonah was angry. He did not want Nineveh to receive God’s love and compassion, yet he selfishly was grateful for God showing compassion for him. When we really know God’s will, we have a difficult time accepting it, because it is only through the strength of the Spirit of God that His will can be fulfilled in us. In the garden, Jesus prayed for another way besides the cross. He understood the will of God, but then Jesus surrendered to the Father’s will and said, “Here I am, I have come to do Your will” (Hebrews 10:9). Today, we are saved through faith, because of the sacrifice of Jesus who was obedient to His Father, God’s will. 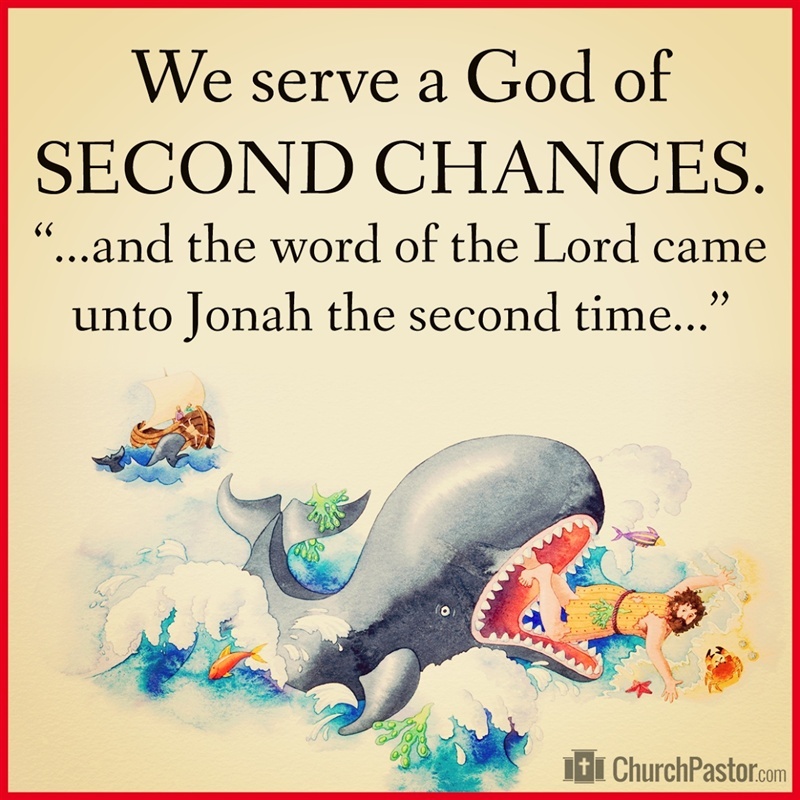 Like Jonah, we often learn the hard way of not wanting to accept God’s will. God’s will doesn’t look like the world’s ways and obedience can be painful. In the hurt, we die to ourselves so the abundant love and compassion of Christ can shine through us. May you be the “light” that shines throughout the new year. We pray for you to desire obedience in following God’s will, out of your love for Him, through studying His Word and believing in faith that He will show you His love, compassion and mercy in all that you do. (P.S. The Daily Disciples Devotionals are posted on Crosswalk.com, Christianity.com and iDisciples.org. If interested, each website will send the daily devotional to your inbox). Yesterday I attended the #SheLeads Conference held at the First Church of the Nazarene in Pasadena (or PazNaz). Two of my Theology teachers were attending who have had a tremendous influence on me so I decided to go. One professor is Dr. Kara Lyons-Pardue. She is in her mid-30s and reads Greek as a first language. She received her PhD from Princeton and I have to say she is nothing short of kind, welcoming and the most non-judgmental person I have ever met. I remember my first day of class as a Master of Ministry student scared to death to be a woman learning with men (some of them pastors). My fundamental church background taught me well about a woman’s place and this step of attending school challenged me greatly. On the first day of class, I was shocked when female Professor Lyons-Pardue walks into the classroom with her belly beautifully 8 months pregnant. Not only was her belly adorable but her confidence and intelligence seemed to lift me right above my fears of advanced learning with religious men. I still remember many of her sentences and she still remembers me crying in class as I described a horrific, painful experience from a pastor in North San Diego County. Through the years of learning at Point Loma Nazarene University and now at Nazarene Theological Seminary, I have lost the chip on my shoulder. I don’t need to defend the gifts and callings God has given me. The education has allowed me and my female peers to grow and thrive without apologizing. Well, I say all that to talk about yesterday’s #SheLeads Conference. It was the first time I sat in a room with female senior pastors, a female president of a Theology School and so many young female college students pursuing a career in ministry. Amazing! Could it be that we are entering a time of androgyny—a world without gender limits? Could it be that the Pentecost Anointing to both men and women is now being released? Could it be that God who pours out His Spirit on both young men and women is now opening up the flood gates to bring women into true leadership and ministerial roles? I kept thinking of Acts 10 with Cornelius’ family being anointed in the Holy Spirit by Peter. It took time for the Jewish-Christians to accept Gentiles becoming Christians but in God’s timing and in His way, the Church embraced the goodness of God to extend salvation to all. We have no doubt that we are called by God and we have a firm conviction to be faithful to Him. Our first desire is to please God, despite the words and opinions of others. We do not want to be men. God made us as women and we are happily female. We are being obedient to God, not rebellious to the church culture. If we have children, we love and care deeply for them. God did not have us choose between our children and His will. It was His will for us to have children within His calling. As a result, God works with us and through us to mother our children. Pastors are shepherds. There are both male and female shepherds in the Bible. The body of Christ is not complete without having both male and female pastors. We needed to learn how to wrestle the demons back to hell while living in the wilderness to fulfill our calling with grace and peace. We know that Christianity is the only religion that places women upon an equal platform with men, as initiated by Jesus Christ. And pray for me…Bobbye has asked me frequently to teach women how to teach the Bible and how to be leaders and speakers. I believe it’s time to start organizing a conference to embolden and encourage my sisters to be about our Father’s business! If interested, let me know. While attending Point Loma College in 1983, I remember my New Testament Professor, Dr. Reuben Welch, asking the class consisting of mostly Freshmen students, “How many of you believe Jesus will be returning in your lifetime?” At least ¾ of those in attendance raised their hands. He then said, “I don’t.” I remember thinking, “That’s because you are a lot older than us. We have a better chance of being raptured out.” At that time, my only interpretation was seeing the Book of Revelation through the lens of a Pre-Tribulation conviction, awaiting and proclaiming the return of Christ as imminent, holding to a belief that the prophecy of Revelation is yet to come. The Left Behind Series helped solidify my conviction. However, I am now enrolled in a Revelation class for Seminary. We were assigned to read a novel called “The Lost Letters of Pergamum” by Bruce Longenecker. The novel is based on a fictional relationship between a nobleman named Antipas who is a Roman unbeliever and Luke (the writer of the Gospel according to Luke and the Book of Acts). Through letter writing, Luke is patient and respectful to answer Antipas’ questions about Jesus and His anti-Roman message. I didn’t understand the severity of Jesus’ message to the Romans until seen through the eyes of an unbelieving Roman (Antipas). Roman Emperors expected those under their rule to revere them in worship and honor as equal to their gods. In the Roman Empire, an atheist was defined as a person who did not believe the emperor was god. As Christians today, we understand that the Jewish religious leaders could not embrace Jesus proclaiming His equality with their God. However, do we realize that the Roman Emperors held the position of “god” as well? Jesus’ presence and message threatened both the Roman and the Jewish rule. To believe in Jesus Christ was to completely go against the pattern of all establishment at that time. Many Christians died as atheists. We have clearly come a long way in definitions. The Book of Revelation gives the people hope to continue to believe despite what they see and hear. That is applicable! The Book of Revelation was for its present time as much as it is for us today. From chapter 1, John (the author of Revelation) writes that he is a “companion in the suffering and kingdom and patient endurance that are ours in Jesus.” (v. 9) John has been exiled to Patmos because of his belief in Jesus Christ and understood the horrid suffering and persecution of those who shared in his belief. When understanding the extent of torture by the Romans, it is understandable why the New Testament writers continually preach, “the time is near.” (1:3) Why near? To provide hope that God sees the cruelty of man, God will judge the wicked who are blinded to the truth and Jesus will return to set things right. I believe that is why each of the seven churches is told that God sees their areas of strengths, weakness, loyalties and compromises. He wants them to live fully and completely committed to His will regardless of the culture, the persecution or the presence of Satan. That message is the same today. By Revelation 6:9-11, John describes “the altar [of] the souls of those who had been slain because” of their testimony and they were calling out to God “how long” until this is over? This period of time definitely represents the prayers of the first century Christians of John’s day. They wanted God to intervene and put an end to the blame game (i.e. crazy Nero’s fires) and the horrific murders but the answer was “to wait a little longer” until more were killed. Because of the hardness of the unbelieving hearts, the penalty of disagreeing with the Roman rule was ruthless and tortuous. Innocent blood was shed with an audience approval as an arena filled with observers enjoyed the entertainment of it. No wonder the Book of Revelation is written graphically with a sense of intensity and urgency. I didn’t realize how much the Book of Revelation has a message of comfort and counsel for the reader; some day, the Beasts will be destroyed, Babylon will fall and God will have the final authority and rule. Some day, heaven will descend to earth and there will be streets of gold and trees of life in its midst. Some day, God’s light and peace will reign and there will be no more tears. Regardless of the timing of its fulfillment, this message brings comfort to the suffering, counsel to the persecuted, hope to the hopeless and strength for us all to endure until the end. The book of Revelation was written for every generation, starting with the first century church. Through the gift of interpretation to understand and comprehend the Scriptures with the wisdom and knowledge of the Holy Spirit, we are able to apply the prophecy throughout the years. In addition, I hate to admit it but I am now at the age of Dr. Reuben Welch when he asked the class if Jesus was returning in our lifetime. Maybe the change of my convictions has something to do with being a lot older now too! Because the Power of Hope Women’s Conference is approaching, I have been praying a lot about Hope. What is our definition of hope? What is God’s definition of hope? Hope is not a fruit or a gift of the Spirit. So how do we have it, keep it, get it? Can we “hope” that our prayer will be answered? Does our hope waver when we discover God did not answer our prayer? President Obama ran his campaign using the word “hope,” which makes hope seem subjective as we can make it be whatever we want. But the Apostle Paul obviously believed hope was objective as he states that there are three components for life and godliness, “Faith, Hope and Love but the greatest of these is Love.” Love is tangible to those who love; faith is definitive by acknowledging God through prayer, but hope is more evasive even though it makes the top three. John the Baptist had hope in Jesus the Messiah who baptized with fire, which was greater than his water baptisms. However, when John the Baptist found himself in jail for speaking the truth, his hope of who he wanted Jesus to be and what he wanted Jesus to do for him wavered. He suddenly lost his hope because the circumstances did not pan out as he had hoped. And what about us? What is our definition of hope? Do we maintain hope when all seems hopeless? Hope in what? Hope for what? It is time to define “hope.” It is time to embrace hope as an attribute every person needs to breathe. It is time to be hopeful…not in something but in Someone. We have a future and a hope because Jesus Christ moves mountains in our lives even if He helps us to shovel the mountain away one pile of dirt at a time. Our hope is not in the changing of circumstances but in the unchanging, ever-loving God of all creation who can change us. Hope is an attribute of God. The more we seek God, the more we find Hope. If we stop believing in a loving God because of our circumstances, then we will become hopeless. Job became hopeless for a season but seasons change. It is best to Hope in God and seek the God of Hope who will fill you with joy and peace. Nearby hotel reservations are available at a discounted rate. We HOPE to see you there! Is there is a Right Position to Pray? What is the position of our prayer life? The position of prayer can be physical like on our knees or face down but let’s consider our spiritual position in prayer. Spiritually speaking, where are we positioned in Christ when we pray? Colossians 3 tells us we are seated in the “heavenlies”. Paul states that Jesus is seated at the right hand of God the Father and we are now seated with Him. Then we are instructed to set our minds on things above, not on earthly things. what buttons are being pushed that keep us troubled? where are we getting stuck? If we really understood our position in Christ, our prayers would change. We would not be so reactive but would be proactive to pray without the emotional pulls. In prayer, we need to learn to see our circumstances from God’s perspective. We might then consider to stop praying about all the moving, distracting, emotionally draining things, and start praying for what Jesus wants for us and from us in any given situation. We might just see that the Lord does not want to change the situation but to actually change us. Bobbye and I asked a friend of ours to be interviewed on our daily radio show. Her name is Donna Scott and she is a Licensed Marriage and Family Therapist. Today she came to our office for the recordings. Even though we know Donna, her kindness and sensitivity to share in her clients’ pain and then to wisely and calmly provide counsel to those in broken relationships amaze us. God is using her and mightily moving through her to repair broken hearts and mend broken relationships. We all want to be loved. We may not be very good at communicating how we want to be loved and we might not be very good at explaining why we are acting out or withdrawing but the bottom answer is the same.. to be loved. “For God so loved…” and because “God first loved us” we can love. I am certainly thankful our relationship with God is based on His love. Donna Scott’s contact information is http://www.DonnaScottTherapist.com or (619) 500-4653. Calling her may be your first step in learning how to express love and how to receive love from God, others and yourself. Thank you Donna for sharing your heart with us today and loving others through God’s gift of counseling.